You are invite you to attend the 43rd District Town Hall on Saturday, Feb. 20 from 1 p.m. to 2:30 p.m. at the Erickson Theater at Seattle Central College. House Speaker Frank Chopp and Senator Jamie Pedersen will discuss the legislature’s work and answer your questions on various issues before the state. Not sure which legislative district your belong to? We understand! 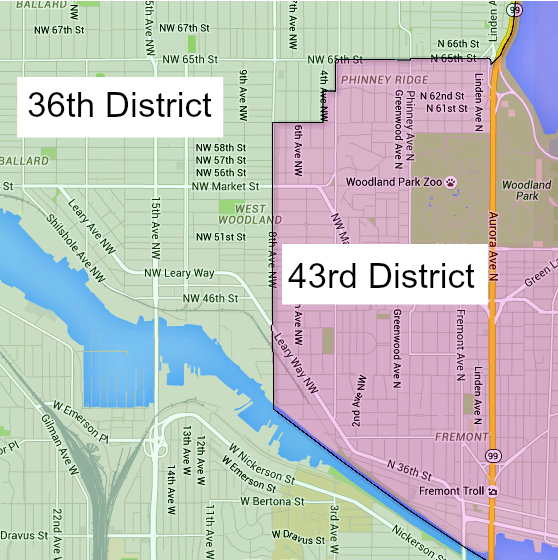 The West Woodland Neighborhood is split between TWO legislative districts. Find your district online by visiting the Washington State District Finder.